The foods and drinks we consume, our lifestyle choices, and poor hygiene contribute to discolored teeth. 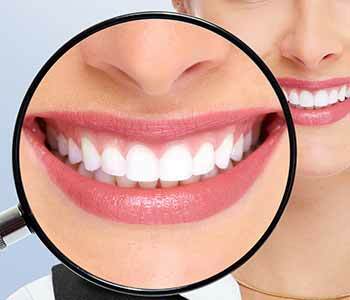 Teeth whitening has become a commonly requested cosmetic dental procedure. The availability of commercial toothpastes and strips and professional whitening treatments give patients options to enhance their smiles. Located in Gambrills, MD, Dr. Bingham-Lester offers professional whitening using the KöR deep bleaching system. Your smile impacts your personal and professional lives. At Bingham-Lester Dentistry, we understand the importance of a winning smile. The KöR whitening system is a deep bleaching treatment. This system utilizes a professional bleaching agent that is applied to custom mouth trays. These specially designed trays fit to the teeth and seal out saliva which could contaminate the whitening gel. If the gel remains uncontaminated, whitening is able to continue for hours after the treatment rather than the brief period of other treatments. When unused, the gel remains refrigerated to prevent the breakdown of the whitening agent. Whitening agents that are left at room temperature degrade which leads to a less effective product. Significant whitening improvement is found after just one treatment. After the initial office treatment, at home trays continue the process for 1-2 weeks. Patients who use KöR can experience whitening improvement of up to 16 shades. This system works on tetracycline stains as well as typical whitening. Other whitening products are unable to improve tetracycline stains. Lights and lasers are unnecessary. White teeth are not always healthy teeth. Improving your smile requires help from a dental professional. Dentists can assess your teeth and discover issues that may affect the quality of your smile or the whitening process. Professional whitening treatments are safe when performed by your dentist. The quality of whitening is above and beyond the products available over-the-counter.